The first thing to do on how to arrange furniture with an open floor plan is making a diagram. It is an important step because you need to know the arrangement of the furniture and maintain the traffic pattern inside the room. Without a diagram, it will not be easy for you to place the chairs, sofa, table, loveseats and side table. You can have various kinds of diagram plan to give you more options. If you have kitchen in this open floor design, ensure that it is near the dining room. 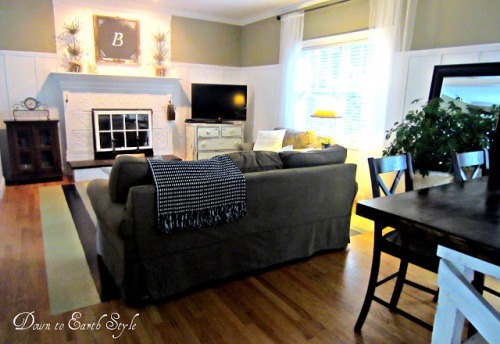 The living room is near the dining room table for easy access. The next thing to do is deciding the type of room separator that you will install in the open floor plan. A non permanent divider is good because you can give an open and big feeling. When you want to maintain privacy, you can use curtain, paper, rack or buffet as a divider. If you want to have a party such as baby shower party, you can take off the divider. Get ideas on how to arrange furniture for a baby shower here. Create the harmony inside the open floor room. Even though the area is very spacious, you should never make it look mismatched. You need to ensure that each furniture on the living room, dining room and kitchen are coordinated each other. You need to pick at least one similar color to decorate each area. 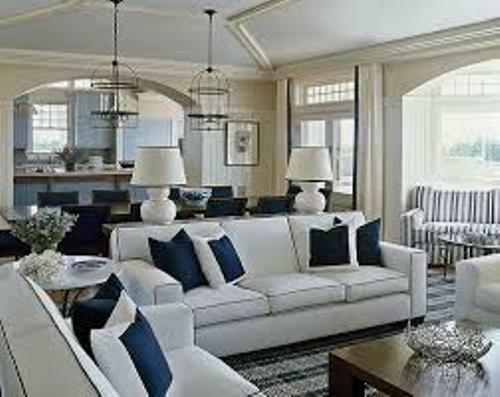 For example, you can coordinate them with the similar furniture styles and color. Even though you incorporate several rooms inside the open floor design, you need to have a focal point. It will serve as the main structure in the living room. 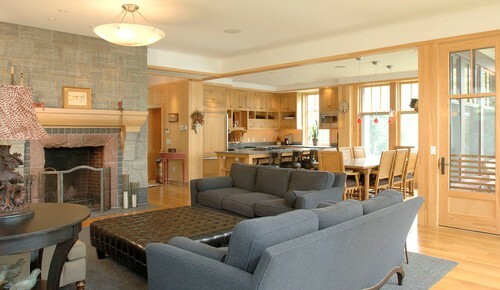 You can have the fireplace area as the focal point. The arrangement of the living room furniture such as sofa, coffee table, ottoman and chairs should face the fireplace area. How To Arrange Furniture With An Open Floor Plan: Idea 5 Carpet Or Area Rug? 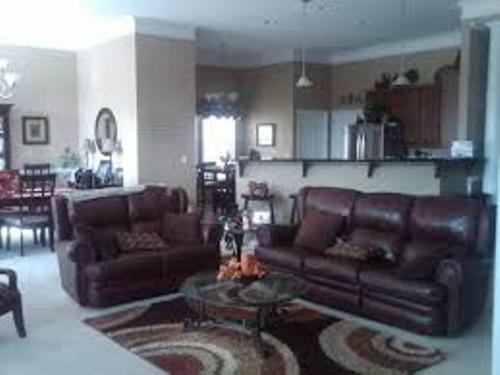 The carpet or area rug is very important when you want to have good furniture arrangement. You can place it under the living room and dining room furniture to make people aware the boundary of each room in the floor plan design. 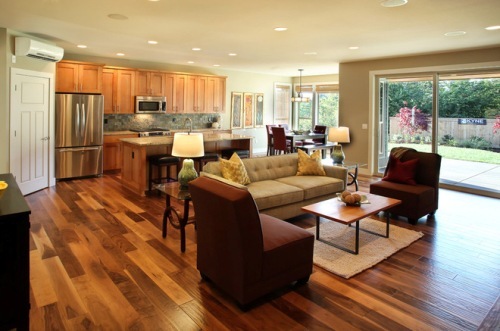 Do you have more ideas on how to arrange furniture with an open floor plan?